In our last post we learned what affiliate links are and talked about affiliate networks. If you haven’t read the big Affiliate Network Guide yet, I recommend you to put it on your to do list. You’ll find useful informations that will help you to better understand the things we talk about in this post. Today’s article is all about how to use affiliate links to get the best possible monetisation results for your blog posts and content. 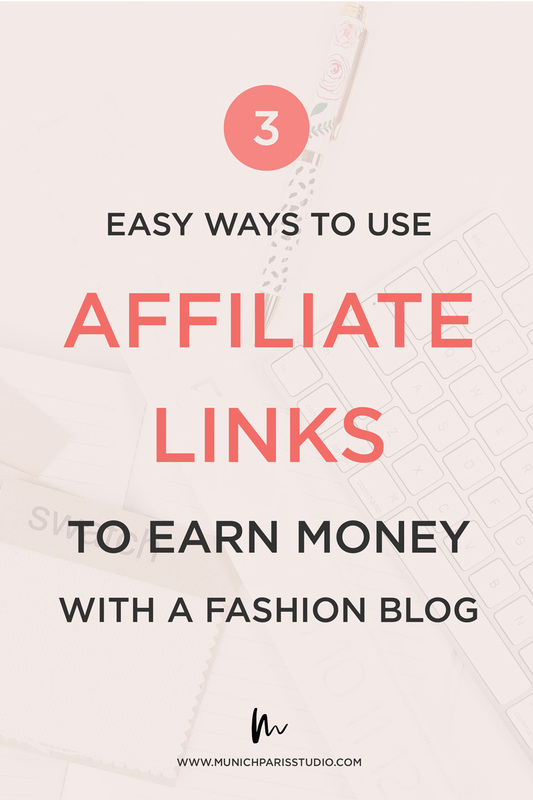 Find out what the best strategies are to encourage your blog readers to drive sales from your affiliate links and help building you a passive income with your fashion or lifestyle blog. The easiest way to let your blog readers shop your fashion and lifestyle products is directly within your blog posts. 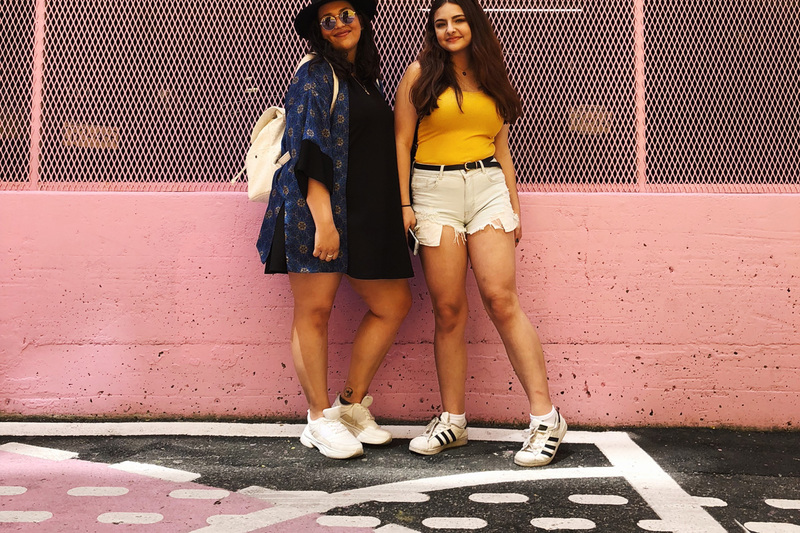 Who could be a better testimonial for the cute cropped top and Levis jeans shorts than yourself? The visual balance of text, images and affiliate links makes the shopping on your blog a comfortable and personal experience. In our MunichParis Studio Themes we place the affiliate links on both the preview thumbnail on the homepage as well as within the post. Through displaying them in multiple locations you allow the reader to engage faster with the affiliate links. Login into your ShopStyle Collective dashboard and click on the blue button on your left which reads ‘Create‘. Click on ‘Product Widget‘ and then search and choose the products you like. In best case similar items you wear in your post. To add a product (affiliate link) to your product widget (shopping widget) hover over it and click on ‘Add to widget‘. After you’re done with your selection click on ‘Next‘. In this step you can now decide the appearance of the product widget (shopping widget) with meta data like brand, price and shop. Check or uncheck the things you want or don’t want to see. Also, you can decide the rows and the columns as well as the image size of your product widget (shopping widget). For the optimal use of the shopping widget we’d recommend to use one row and at least 4 columns. Now click on ‘Publish’ and copy the shopping widget code and paste it into your post. Pay attention that you paste the shopping code while you’re in ‘HTML Mode’ of your post editor. Another great way to encourage your audience to engage with your affiliate links is a ‘Shop my Favorites’ or ‘Currently Craving’ shopping widget directly on your homepage. What is a ‘Shop my Favorites’ widget? Typically it’s a widget that shows your readers what your favourite items of the season, from your wardrobe or the current sale are by displaying selected items directly on your blog’s homepage. Why should you put this widget on the homepage? First, you can give your landing page a more interesting look and secondly you can differentiate the products from the ones within your posts. We like to place the ‘Shop my Wardrobe’ widget either before the footer or beneath the top section of homepage, so it is perfectly visible while browsing on the blog. Our experience shows us that this way of using affiliate links is even more successful if you display items which are currently on sale. Helping your blog readers to save money by showing them the best sale products is a great way to monetize a fashion blog. If you are a member of the Shopstyle Collective CPA program you can now add a little heart-shaped button to each item, which will give your interested readers a sale alert whenever the price of the product drops. Cool, huh? Creating a Shop my Favorites widget is the same process as building a Shop the Post widget. Just follow the steps from above and check the following video to see how you could paste it into our Madrid Theme as an example. A Blog Boutique is a perfect solution if you want to advertise a large number of products to your blog audience. The idea behind this shopping page is to give your readers the chance to choose between alternatives. Specially when it comes to the price it’s always important to have multiple options from the readers can choose from. In our Themes we display multiple boutiques with every Boutique focusing on different sets of fashion and lifestyle products. 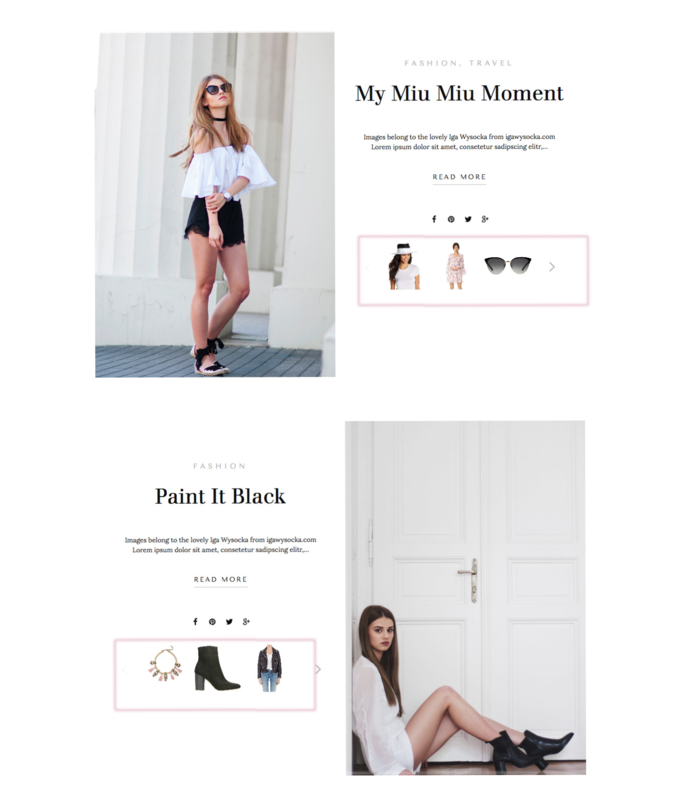 How to build your own Boutique Page? Read here a detailed instruction tutorial on how you can create a Boutique Shopping Page via ShopStyle.